South and North Korea held the event in two rounds from Aug. 20-26 at Mount Kumgang, a scenic resort on the North's east coast. It is part of the promise their leaders made during a summit in April. "There ended the reunion of separated families and relatives from the north and the south held at Mt Kumgang Resort as part of practical measures for implementing the historic Panmunjom declaration," the Korean Central News Agency said in an English article, referring to the April summit deal. 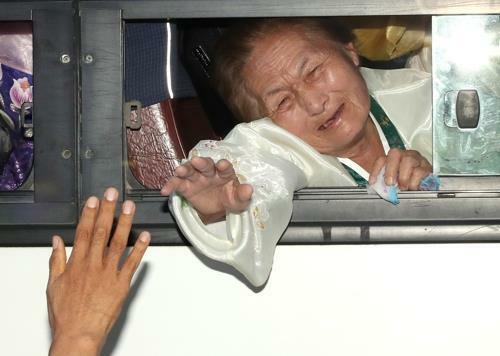 The KCNA reported on the family reunions after the first round ended Wednesday. But the Rodong Sinmun, a major North Korean newspaper mostly for domestic readers, has been mum on the event. South Korea's Red Cross earlier said it is seeking to hold family reunions again in late October. Last week's event marked the first of its kind since October 2015.